After the IAAPA Attractions Expo in Orlando, Florida we sold all the machines that were on display. However, we have recently received a cancelled order and now have 1 unit of the Game Wizard for Android available for purchase. 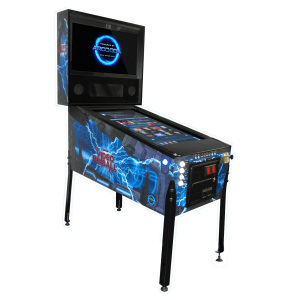 This is a brand new machine, only used for display during IAAPA and is below wholesale price. The Game Wizard for Android is currently located in Orlando. 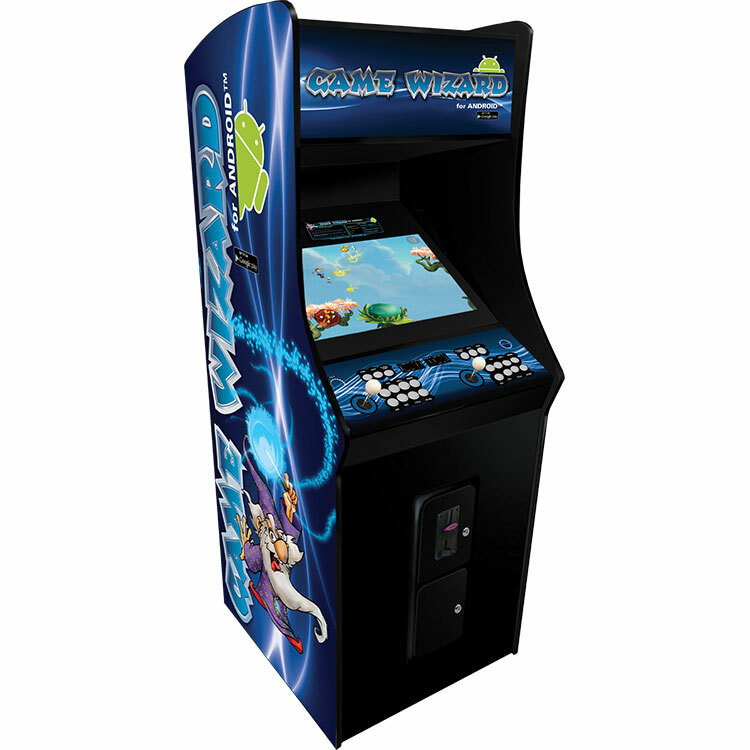 The Game Wizard for Android is a two-player, upright arcade machine featuring an Android operating system. This makes the Game Wizard for Android machine compatible with thousands of games and applications that are available from the Google Play store. 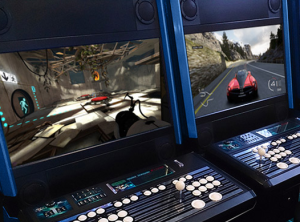 Games can be played on the machine using the two-player arcade panel with authentic joysticks and push buttons, with the 26″ HD LCD touchscreen monitor or with external console controllers. Just plug them into the cabinet and play. Applications for social media, music and video streaming can be used on the Game Wizard for Android, turning this arcade machine into a video jukebox which is further enhanced by the jukebox quality speakers and subwoofer built into the cabinet. 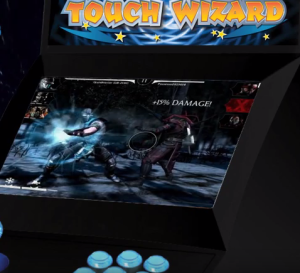 In addition to this, the patent pending hardware within the Game Wizard for Android makes the machine compatible with PC and external consoles such as Xbox, Xbox 360, PlayStation 3, PlayStation 4. Again, just plug the console – not adapters needed – into the cabinet and you’re set to play games. If you are interested in purchasing the Game Wizard for Android or have further questions, please contact us on sales@arcooda.com or +61 249 689 313 .